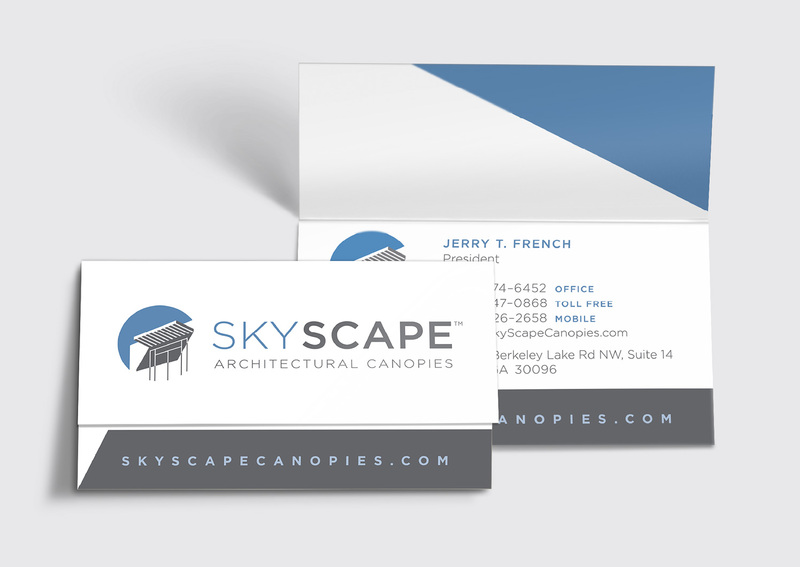 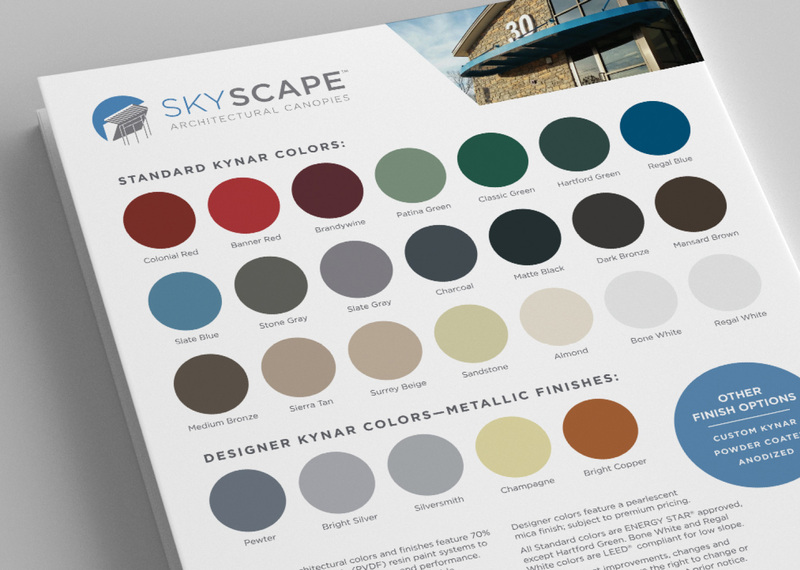 Then, based on the information from the workshop and the new company name selected by the client — SkyScape Architectural Canopies— we provided several logo concepts, gained feedback and ultimately arrived at the final logo. 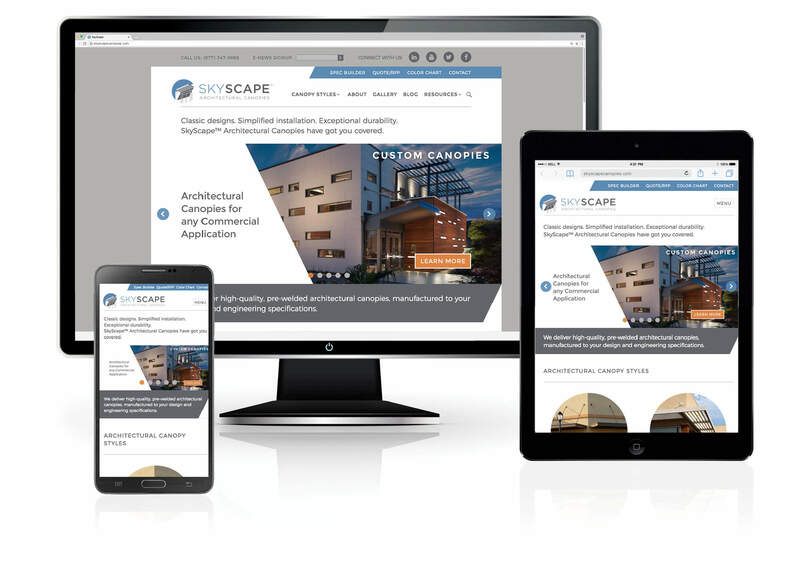 The website development project, social media site design, as well as marketing materials for the brand came next. 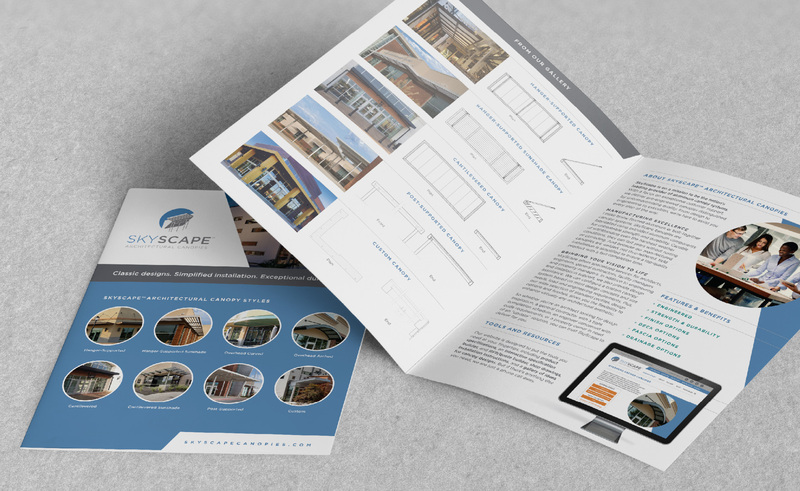 The website is designed to provide content of interest to the target markets: architects, engineers, facilities and property managers. 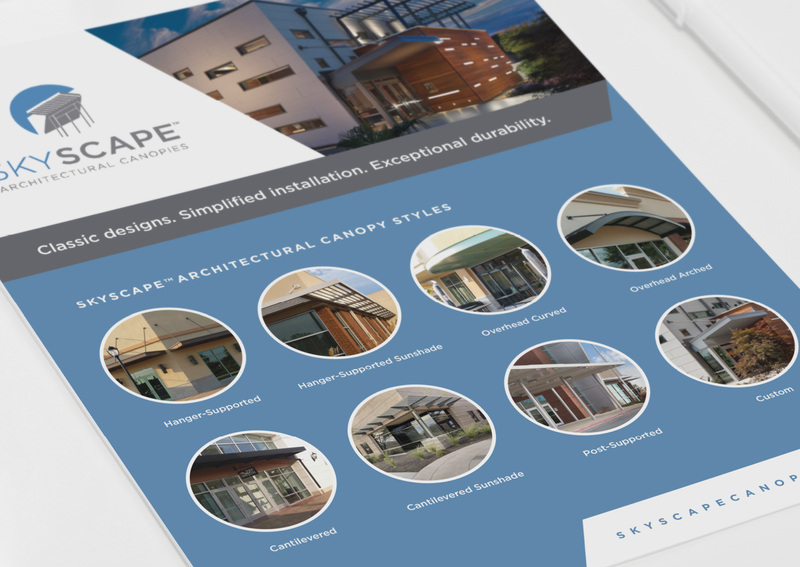 We designed and developed a proprietary online Spec Builder to make it easy for customers to specify their canopy systems. 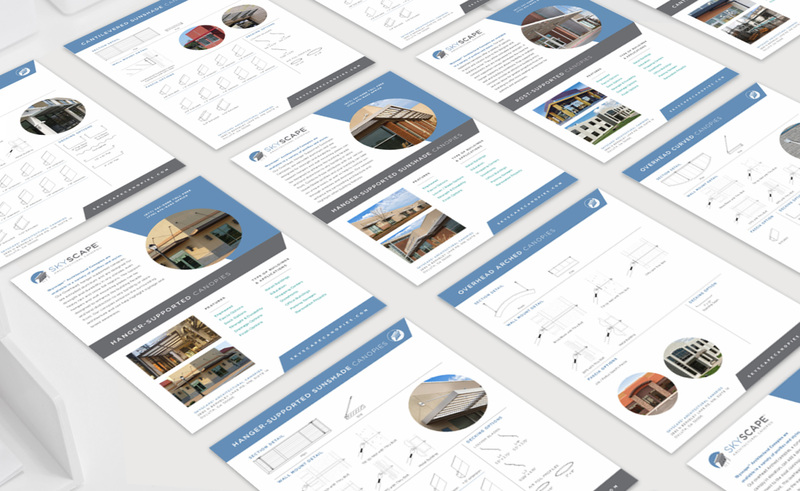 We created PowerPoint templates for sales and marketing efforts. 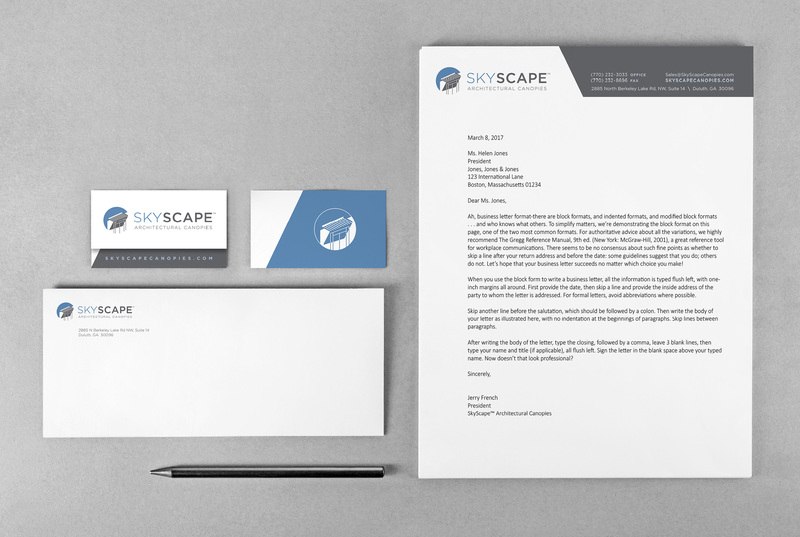 Want to elevate your new venture?